Superwater.com offers Free FedEx & UPS Ground Shipping on Every Hoshizaki # EV9320-21 / # H9320-51 4HC-H Single System Order. ***WE ARE AN AUTHORIZED PENTAIR EVERPURE HOSHIZAKI FOODSERVICE AND COMMERCIAL DEALER w/ OVER 20 YEARS EXPERIENCE. Please call us with any questions you may have. NOTE: The Older Model HC Single System # EV932011 has been replaced with the NEW 4HC-H Single System H932051 # EV932021, is NOW 4" inches longer than the older model. **Please make sure you have enough room if installing under a cabinet. 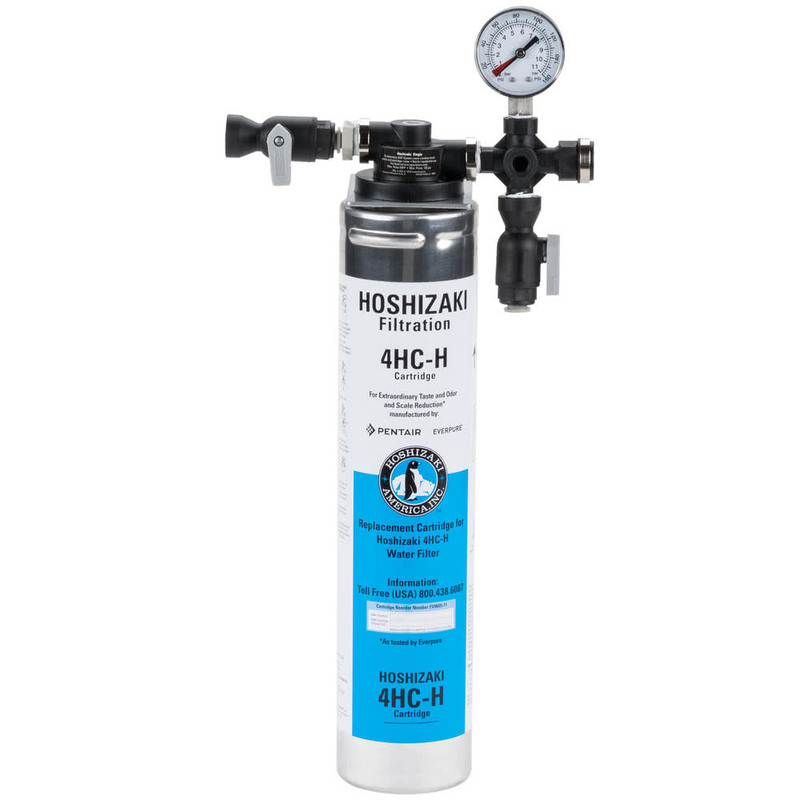 Everpure Hoshizaki 4HC-H # EV-932021 / H9320-51 Ice filtration Single system comes complete with QC71 Single Head, featuring Everpure's patented 1/2 micron precoat filtration technology with self-contained scale inhibitor feed. **Ideal for most cubers up to 750 lbs. The HC Removes Cyptosporidium and Giardia cysts, asbestos fibers, bad taste and odor, chlorine, dirt, mold and algae. Reduces scale build-up. 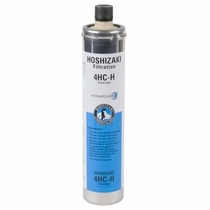 Quick-change 4HC-H cartridge fits into QC7I Hoshizaki Single head with water pressure gauge. Head features water shut off, flushing valve, and outlet pressure gauge.